BILDNIS EINES JÜNGLINGS MIT ROTER KAPPE Öl auf Holz. Verso Einschubleiste. Der Jüngling ist im Halbbildnis nach rechts wiedergegeben, das Gesicht in scharf gezeichnetem Profil. Sein rotfarbenes Kleid mit geordneten Parallelfalten an der Brust sowie kurzem kleinen Stehkragen, unter dem ein weißer Hemdkragen kurz hervortritt. Unter der runden Kappe tritt der exakt geordnete Haarschopf hervor, eine Mode der Zeit, wie wir sie etwa in der Frisur im "Portrait eines jungen Mannes" von Giorgione im Museum Budapest finden. Oil on panel. Verso slide-in slat. The young man is depicted in half-portrait to the right, his face in sharp profile. 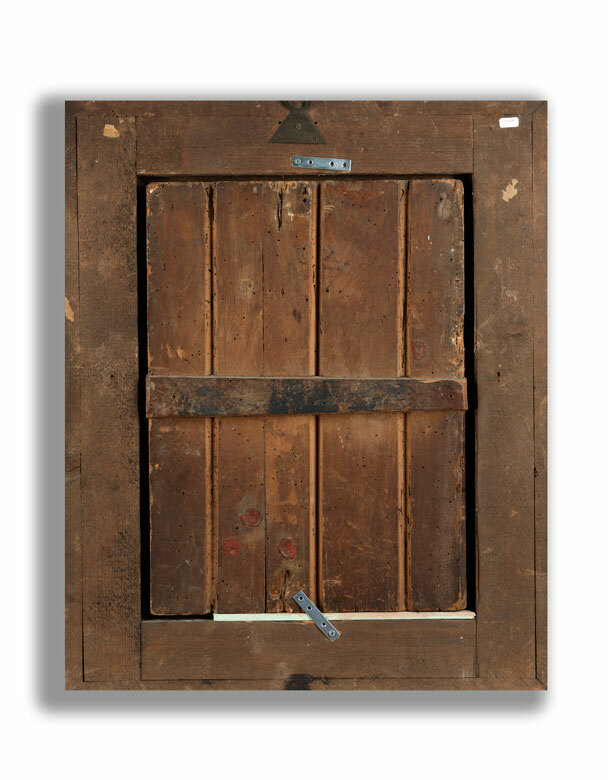 At this moment in time, an exact attribution to the oeuvre of a renowned artist has not been made, its style and composition suggest an Italian painter of the early Renaissance. 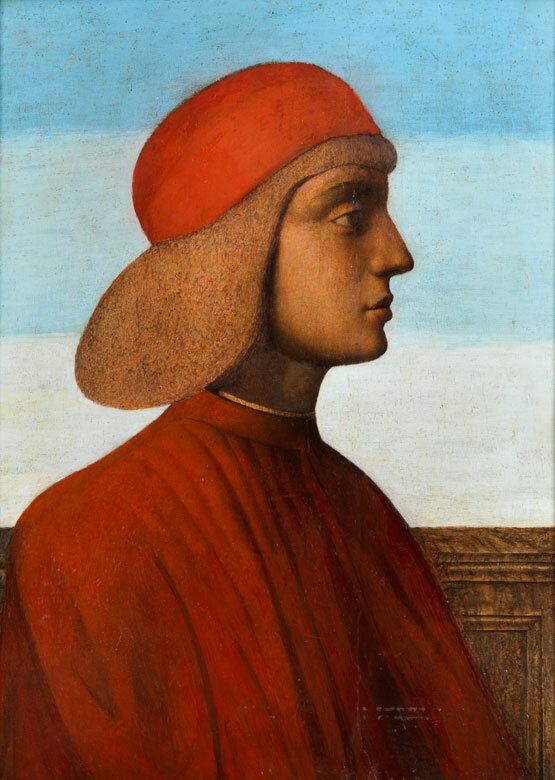 We can find exact portraits in profile by several important Italian artists such as Giovanni Bellini (1430 – 1516) with his Portrait of the Doge Mocenigo ca. 1480 or Portrait of a Lady by Piero del Pollaiuolo (1443 – 1496) ca. 1480 (New York). 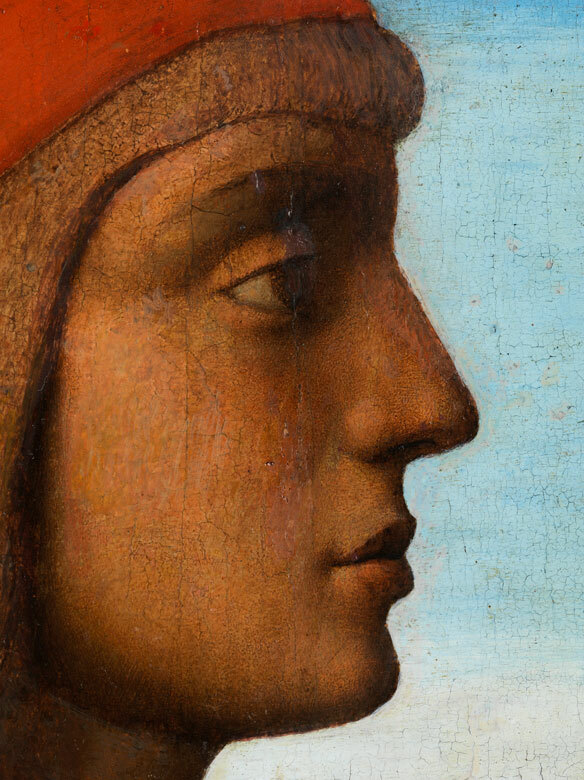 Ghirlandaio also painted portraits. 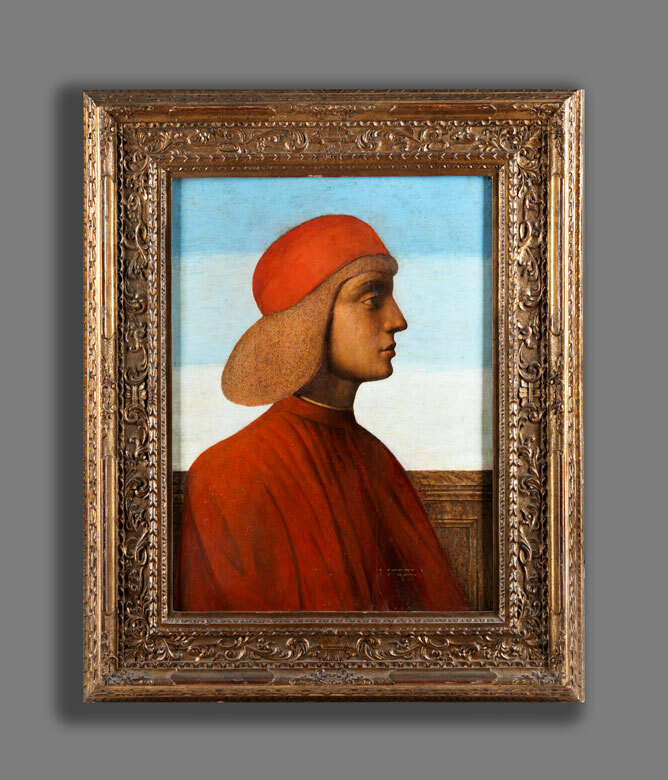 However, closest in style to the present painting are probably works by Piero della Francesca (1410/20 – 1492) sein. Due to the painting's age, it is considerably restored, possibly with partial areas of over-painting, especially in the background. 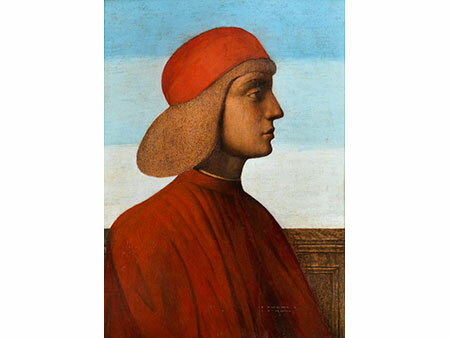 In any case, the portrait was probably created around 1480.